Filters are connected in numerous phases during the manufacture of small molecular drugs, which is termed as active pharmaceutical ingredients (API), as well. They eliminate or reduce the bacteria and particles in process components. The filters avoids process solution from getting polluted when put away in tanks. Pharmaceutical filtration have wide range of applications in cell separation, final product processing, raw material filtration, air purification, and water purification. Among them, the final product-processing fragment is anticipated to hold greatest market share in the years to come in owing to considerable rise in the manufacture of generic medication production and biologics coupled with stringent administrative rules to keep up a safe and clean manufacturing environment. The global market for pharmaceutical filtration is surging significantly due to the increase in manufacture of biologics and large molecules, advancements in nanofibers, increase production of generics market, and government rules for cleanrooms in pharmaceutical production. Some of the other drivers are increase in expenses on research and development work by biopharmaceutical organizations to cater a solid biologics pipeline. However, there are various difficulties confronting the global market for pharmaceutical filtration. One of them is the emphasis on cost control. Owing to various filters utilized during thee production of APIs, it becomes extremely important for organizations to team up with a provider regarding the cost-adequacy. Apart from this, other restraints hampering the market are the enormous initial capital required to set up new generation offices and strict administrative standards to approve the filtration procedure. North America and Europe are the leading regions in global pharmaceutical filtration market. This is basically because of the strict guidelines relating to drug safety that has prompted the quick rise in pharmaceutical filtration products. Pharmaceutical filtration find application in final product processing, cell separation, raw material filtration, water purification, and air purification. Among them, the final product-processing segment is predicted to gain maximum market share in the years to come because of the substantial upswing in the manufacture of biologics and generic drug production along with stringent regulatory guidelines to maintain a clean and safe manufacturing environment. Majorly boosting the global market for pharmaceutical filtration is the rising manufacture of large molecules and biologics, technological progress in nanofibers, proliferation in the generics market, and regulatory mandates for cleanrooms in pharmaceutical production. 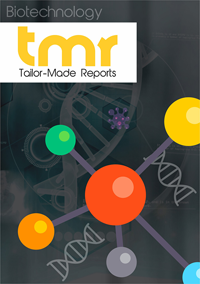 Other factors promoting the market are rise in expenditure in research and development by biopharmaceutical companies to offer a strong biologics pipeline. There are also numerous challenges facing the global market for pharmaceutical filtration. One of them is the cost control pressures. On account of numerous filters used during the production of APIs, it becomes crucial for companies to collaborate with a supplier committed to cost-effectiveness. Other factors crimping the market are the massive upfront capital required to set up new production facilities and strict regulatory norms to validate the filtration process. The global market for pharmaceutical filtration can be classified based on different parameters such as application, scale of operation, product, technique, and region. Depending upon the type of product, for example, the market for pharmaceutical filtration can be classified into membrane filters, cartridge and capsule filters, prefilters and depth media filters, filtration accessories, single-use systems, filter holders, and other products. The membrane filters, among them, account for maximum share of the overall market. Going forward, the product segment is also slated to outpace all others in terms of compound annual growth rate (CAGR). Driving their market is the fact that they can be installed in large and small manufacturing facilities easily due to the availability of a variety of pore and surface types. Depending upon technique, the microfiltration segment commands a dominating share in the global pharmaceutical filters market. The technique is applied to various applications ranging from the removal of unwanted suspensions to the removal of bacteria from the process material. This is a major factor responsible for the large share of this segment. Geographically, the key segments of the global pharmaceutical filtration market are Asia Pacific, Europe, North America, and the Rest of the World. North America is a key region and so is Europe. This is mainly on account of the strict rules pertaining to drug safety that has led to the swift uptake of pharmaceutical filtration products. Concentration of numerous key players in the region is also stoking growth in the market. Going forward, Asia Pacific is slated clock impressive growth due to rising investments in the biopharmaceutical industry and the increase in contract research and manufacturing organizations in low cost markets in the region. Prominent names operating in the pharmaceutical filtration market are Merck KGaA, GE Healthcare, Pall Corporation, Parker Hannifin Corporation, and Sartorius Stedim Biotech S.A.